First new here and thanks for all the great info. I just added fogs (replaced the switch and added factory wiring- BCM is equipped with fuse) but have not been able to change as built to activate. I’m not sure why you’d want those fog lights on all the time? 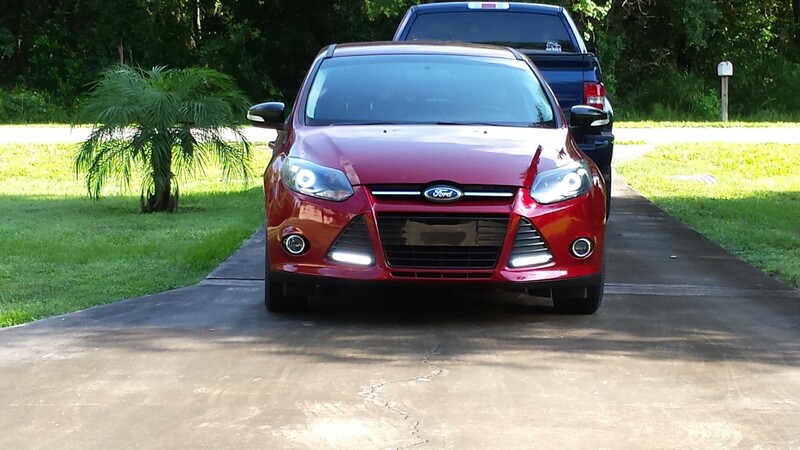 There’s an LED DRL kit for the 2012-2014 Focus that I’ve seen some cars have where the LEDs fit inside the bottom section of the corner grills. It looks nice however I have no idea what the cost would be for the kit. Well I was able to get the fogs on using forscan. But I still can't find a process to use them as drl so I have ordered the lower bumper inserts with the led's and will turn off the factory drl using forscan and maybe even get a pair of yellow bulbs for the fogs..
Man, I wish I knew you were doing this. I've got the DRL's on my '13 SE. I removed them when I traded the car in. I'd take $50 shipped for them. Probably would have saved you some money.